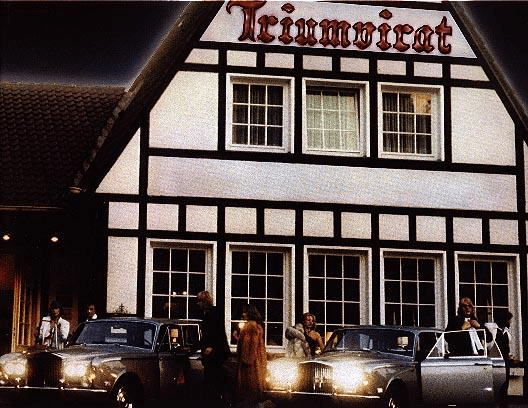 Triumvirat, for me, was one of those mystical bands that were impossible to find in conventional music shops. Whenever I went to HMV and browsed the “T” section I was always unsurprised to not find Triumvirat. Triumph, yes. Trivium, Yes. No Triumvirat. It was hardly surprising having “inherited” Illusions on a Double Dimple on vinyl from my brother who himself had “won” it in a competition. So with the advent of the internet I was able to find out all about Triumvirat. How fantastic they were. How they were from Germany (not Finland as some sources say). How one of the original band members died in an accident. How the style changed following the death and how the line up changed constantly in true Prog Rock fashion. . I was also able to “obtain” their entire catalogue. Acesticks. In A La Carte, the curious mix of Emmerson Lake & Palmeresque twiddly gets brushed into the musical recycle bin to give way for a more “ELO” tweeness. There are two songs on this album that I like: Waterfall (sung by Barry Palmer) and For You. I will give a sample for you, of For You for you. For you, to fore ewe. Four eu?